The fact that fast food is unhealthy is not a new revelation. There have been many controversies surrounding the ingredients that make up the fast food meals millions enjoy eating. But there could be a new controversy regarding the ingredients used in donuts, burgers and other processed foods.It has to do with nanomaterials that are found in these foods. The controversy began when activists from As You Sow, a nonprofit dedicated to the environment, asked Dunkin Donuts about the nanomaterials that were being added to its foods. They even went as far as getting a resolution from the shareholders of Dunkin Brands. While it did not pass in 2014, it did get around 19% of the votes. It showed that many people were taking the issue seriously. But why does As You Sow care about nanomaterials in Dunkin Donuts items? The reason why As You Sow took a keen interest in Dunkin Donuts is because of a test the organization performed on powdered sugar on many of the chain’s donuts. The tests showed that titanium dioxide was found in the sugar. Nanoparticles of titanium dioxide were in the powdered sugar that is used in donuts at the chain around the United States. These nanoparticles are also found in toothpaste and plastic, as they are known to boost the whiteness of a product. 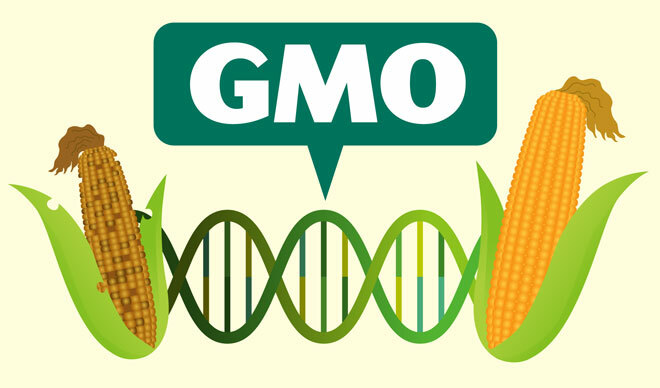 It is not the first time that fast food chains have been accused of adding genetically modified organisms to their ingredients or final products. While common consensus now suggests that GMOs are not necessarily harmful, the jury is still out on nanoparticles. When a person thinks of nanoparticles, they would assume that it is small traces of the item. And it is a good assessment. But even nanoparticles of titanium dioxide could be harmful when they are consumed in enough quantity. It is possible for nanoparticles to absorb into the surface into the larger molecules they encounter. So a person eating donuts that contain those harmful nanoparticles could deal with problems later in life, as a result of those nanoparticles going inside the cells of their body. Most conversations around nanotechnology are positive. It is hailed for how it could help advance medicine, increase energy efficiency and help with environmental cleanups. But nanoparticles are used all too commonly in food. They help provide a creamier texture, more freshness and brighter colors. The issue is the effect of these nanoparticles is not well researched. There are some studies that have shown titanium dioxide becoming toxic in cell cultures for animals, when administered in high doses. And that is true when it is in its nanoparticle stage. But that does not mean it is harmful to humans – or at the level of exposure from a few donuts a month! Much like GMOs and certain preservatives, nanoparticles are a relatively new addition to the food stream. Their effects are not well known. And the widespread use of nanoparticles has many people worried about the safety of the foods they are consuming.